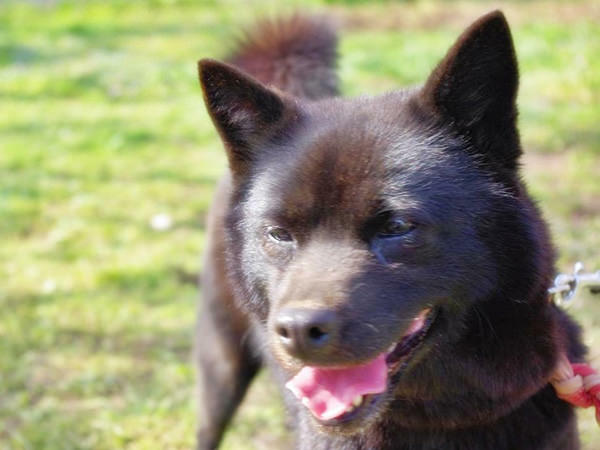 Kai-ken is one of the six major dog breeds in Japan. The word "Kai" in "Kai-ken" is an old name of Yamanashi Prefecture, belonging to Chubu Region (refer to #138). 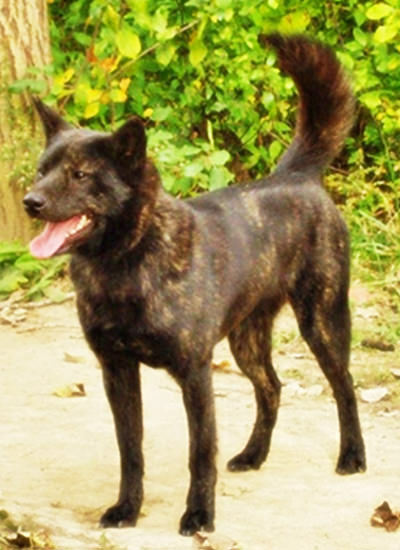 The breed name is derived from the fact it was first found in the prefecture. This breed has black and brown striped hair like tiger stripes. So, it is sometimes called Tiger Dog. However, the number of Kai-ken having only black hair has been increasing in recent years.